Dashboard’s main use is to allow you to view widgets. For those of you who do not know what widgets are they are tools that allow you to view or control certain things like music or weather from dashboard. You can download all different kinds of widgets. To add as a side note there are certain widgets like Movies, which can act as a movie billboard or transform into ticket machine where you can select the movie you want, theater, and time. Dashboard would not be fun if there weren’t so many widgets. The best place to get widgets are from Apple. If you can’t find a specific widget you want you can always visit third party places on Google. What makes widgets even better is that they are that they are free, and you able to download what ever you want. One special widget that comes standard is Web Clip. This widget allows you to view and control things online without opening your browser. To do this go into Safari, select File, and click on “Open in Dashboard…” From there select what areas in the website you want. Note that you can only do this in Safari and that the size you select on Safari is the size you will get. An important tip for when using Web Clip is that you are only able to control online sites that stay on one page like a game, and not Facebook because you are moving from page to page. 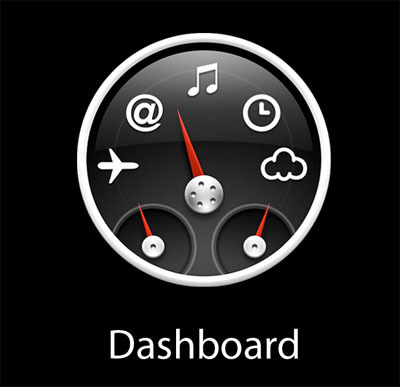 All in all, Dashboard is a great and useful application. Where it lets you be the controller of endless amounts of widgets. This is definitely one of the many great perks to owning a Mac. How do you change the city (Cupertino) in the Mission Control weather? I want it to be Ankeny, IA, not Cupertino, CA.